So, sometimes nature has a sense of humor. 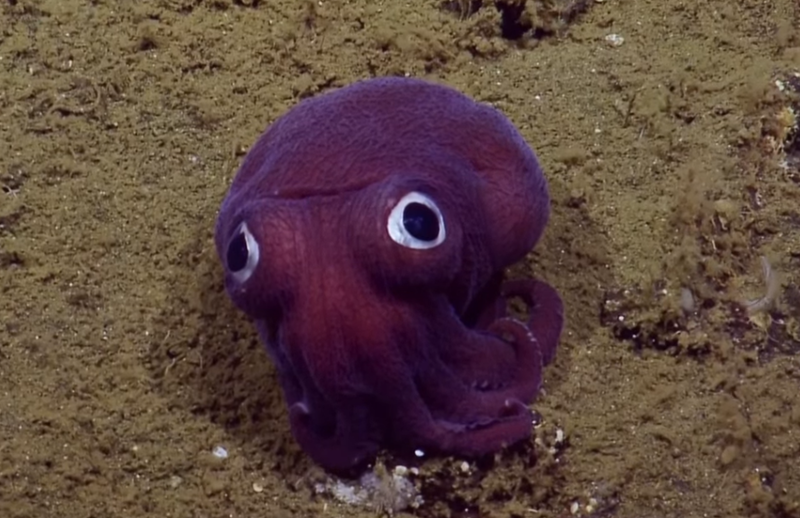 That’s why this video of scientists laughing at a googly-eyed stubby squid is so incredible. You’d assume that these professionals have seen it all, but this funny looking sea creature definitely took them a little off guard. The scientists were aboard the vehicle E/V Nautilus when the video was taken last year, getting an amazing view of the ocean floor. While they have a hard time identifying the creature at first, they settle on it being a cuttlefish due to the way its tentacles appear. Later, off-camera, it was revealed to be a stubby squid, which is very closely related to the cuttlefish. 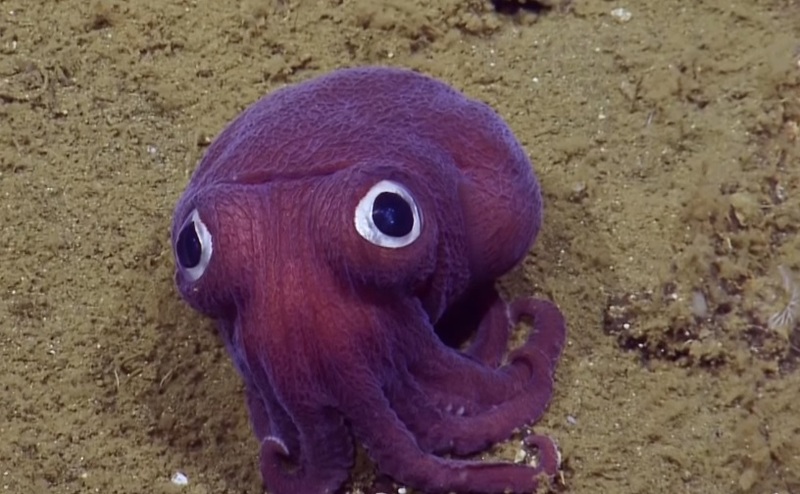 "It looks like they're painted on," one team member says about the squid's eyes. "It looks so fake, like some little kid dropped their toy," another scientist says at one point. Maybe she's onto something. Later, the scientists get a little bummed, since they expect the stubby squid to do something. Y’know, like move. Or acknowledge their vessel. Or change colors. Or swim. Or entertain. But, alas. The fellow they know best as “cuttlefish” isn’t into any of their games. A Nautilus fan on YouTube did point out that right after the 1:09 mark in the video, you can see very, very, very slight movement in the tentacle area. So it’s something, but not a lot. Sadly, the scientists give up and head back. But since this sighting went viral pretty quickly, one of the scientists later gave an interview stating why the squid had such a funny expression. "We probably encountered the squid at a time it wasn't expecting to see a 5,500 pound underwater robot moving towards it," Samantha Wishnak said to NPR. No matter what, it must have been pretty cool seeing him in person. He was definitely the star of the ocean that day!